The Painting Center is pleased to present vis-à-vis/Emily Berger and Claire Seidl in the Main Gallery. Berger and Seidl are abstract painters who have visited each other’s studios regularly for thirty years and engage in an ongoing dialogue about their work. In this exhibition viewers will find two artists with evidently different approaches to abstraction, and illuminating similarities as well. From the catalog essay by Kathleen Whitney: "Both painters have created a body of work that is conceptually and formally rich. Both maximize all types of ambiguity – spatial, structural and inferential. They consistently reconsider and revise as they work; the changes are at the heart of their respective processes… For Seidl, each painting is the consequence of the fluidity and mutability of paint, color relationships and action within a given territory. She cultivates an allusive image, one constructed from a complex, nuanced and layered space. 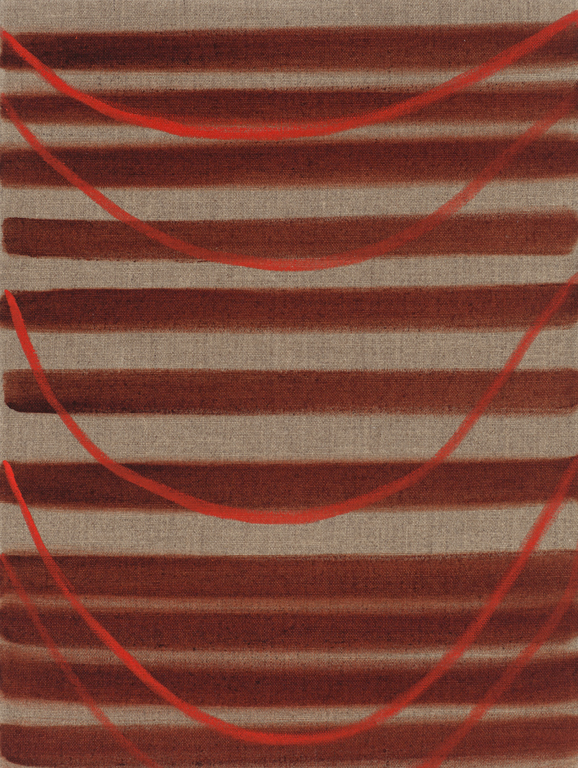 ..Berger’s work represents the interplay of additive and subtractive processes … her wavering, sensual, horizontal bands are shadowed by changes and readjustments…seemingly caught in a transitional state; just after or before coming into being. …Berger’s expanding and contracting bars of color and Seidl’s agitated or meditative fields present an expansive architecture of form and concept. Their work is the record of a commitment to the physicality of paint and its transformative promise."